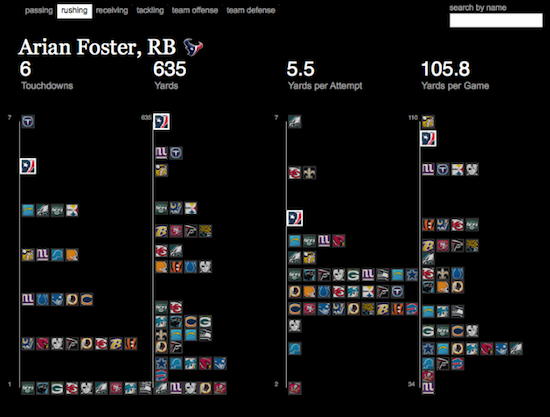 Geeking out on NFL data shouldn't be left only to the stats junkies at Football Outsiders. Our NFL stats "spike chart" is an easy way to see who's leading the league in passing, rushing, receiving, tackles, team offense, and team defense. By showing key metrics side by side, you get the full picture of a player or team performance--not just the highlights. Click on the image to see the live visualization.